Gods Plan: A Drake Salute. We are back. 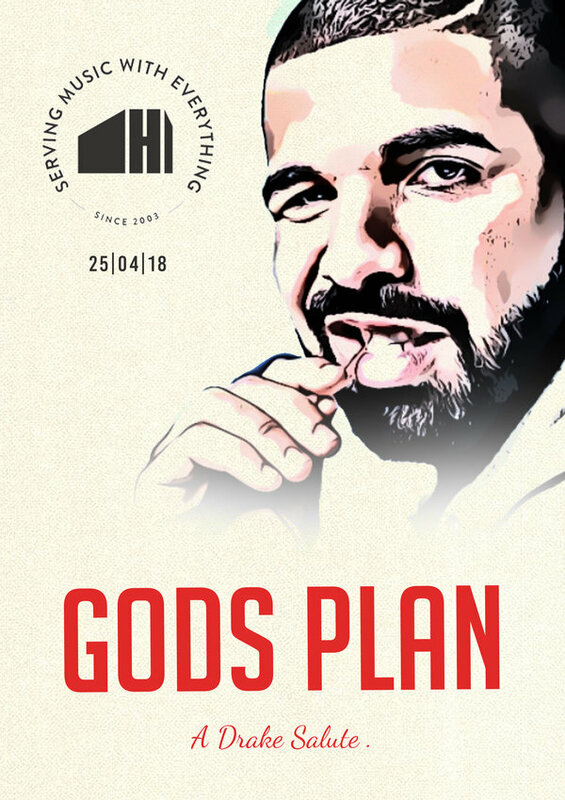 After the huge success and sellout of our last event Saluting Sean Paul, we are back once more to pay tribute to DRAKE. Kendrick, The Weeknd, Rhianna, Migos, Frank Ocean, Tyler the Creator, Cardi B, Ye, Future, Princess Nokia, Kehlani, Lil Yachty, SZA, J-Hus + loads of Dancehall, RnB & Hip-hop.